No matter how old your auto might be, there is an appropriate value for every part of it in the salvage yard. But before you do this, take a quick glance of these guidelines to get a fair deal. Take a look inside and gather all your belongings (if there’s any) like tools, extra tire, small items such as CDs, combs, scattered papers, empty bottles, cards etc. Wipe off some dust and dirt, a little wash will do good as it can help raise your asking price. A clean-old car is way better than a dirty new one. Choose junk shop that has a lot of offers like fast transactions and the highest price paid. Do you know that junking your car for cash is a form of eco-friendly practice? 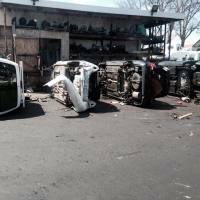 Read here to confirm this statement or better yet call NYC Auto Salvage and Glass at 718-297-9797 for proper auto disposal.